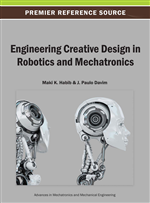 This chapter describes the development of a robotic CAM system for an articulated industrial robot from the viewpoint of robotic servo controller. It is defined here that the CAM system includes an important function that allows an industrial robot to move along not only numerical control data (NC data) but also cutter location data (CL data) consisting of position and orientation components. A reverse post-processor is proposed for the robotic CAM system to online generate CL data from the NC data generated for a five-axis NC machine tool with a tilting head, and the transformation accuracy about orientation components in CL data is briefly evaluated. The developed CAM system has a high applicability to other industrial robots with an open architecture controller whose servo system is technically opened to end-users, and also works as a straightforward interface between a general CAD/CAM system and an industrial robot. The basic design of the robotic CAM system and the experimental result are presented, in which an industrial robot can move based on not only CL data but also NC data without any teaching. At the present stage, the relationship between CAD/CAM systems and industrial robots are not well established compared to NC machine tools that are widely spread in manufacturing industries. Generally, the main-processor of CAD/CAM system generates CL data according to each model’s shape and machining conditions, then the post-processor produces suitable NC data according to an NC machine tool actually used. The controller of the NC machine tool sequentially deals with NC data and accurately controls the positions of main head and the angles of other axes. Thus, the CAM systems for NC machine tools are already established. On the other hand, however, the CAM system for industrial robots has not been sufficiently considered and developed yet. A teaching pendant is generally used to obtain position and orientation data of the arm tip before an industrial robot works. Nagata et al. (2001, 2006) developed a joystick teaching system for a polishing robot to safely obtain desirable orientation data of a sanding tool attached to the tip of robot arm. Maeda et al. (2002) proposed a simple teaching method for industrial robots by human demonstration. The proposed automated camera calibration enabled labor-saving teaching and compensated the absolute positional error of an industrial robot. Also, Kushida et al. (2001) proposed a method of force-free control for an industrial articulated robot arm. The control method was applied to the direct teaching of industrial articulated robot arms, in which the robot arm was directly moved by human force. Further, Sugita et al. (2003) developed two kinds of teaching support devices, i.e., a three-wire type and an arm type, for a deburring and finishing robot. The validity the proposed devices were verified through experiments by using an industrial robot. As for off-line teaching, Ahn and Lee (2000) proposed an off-line automatic teaching method using vision information for robotic assembly task. Also, CAD-based off-line teaching system was proposed by Neto et al. (2010), which allows users with basic CAD skills to generate robot programs off-line, without stopping the production by using a robot. Besides, Ge et al. (1993) showed a basic transformation from CAD data to position and orientation vectors for a polishing robot. As one of the pioneers about teaching-less industrial robotic system, Sugitani et al. (1996) developed welding robots which were successfully controlled by the teaching-less CAD/CAM system, in which there were 26 sets of arc welding robot for steel bridge panel fabrication. This chapter describes the development of a robotic CAM system for an articulated industrial robot from the view point of robotic servo controller. It is defined here that the CAM system includes an important function which allows an industrial robot to move along not only numerical control data (NC data) but also cutter location data (CL data) consisting of position and orientation components. In order to generate CL data from NC data, a reverse post-processor is proposed. In addition, the developed CAM system has a high applicability to other industrial robots with an open architecture controller whose servo system is technically opened to end-users. The developed robotic CAM system works as a straightforward interface between a general CAD/CAM system and an industrial robot. Figure 1 shows an articulated-type industrial robot with an open architecture controller, that is used to evaluate the effectiveness of the proposed robotic CAM system. In Figure 2, the proposed robotic CAM system is shown in comparison with the conventional CAM process using an NC machine tool. Also, in Figure 3, the proposed robotic CAM system is compared with the conventional off-line teaching process for an industrial robot. As can be seen, the industrial robot with the proposed CAM system can work based on both NC data and CL data without conducting a teaching task and using a robot language.